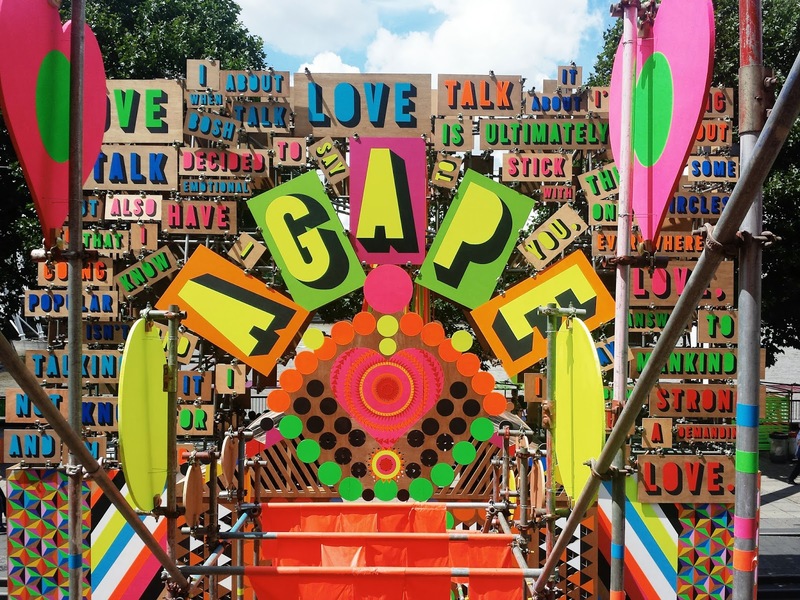 the Temple of Agape at the Southbank Centre. Good evening, I'm Rudy Katoch and it's Day 7. The novelty of being a trainee journalist at the Press Association hasn't worn off even though I'm writing to you from our offices in Victoria. I'm looking at the time and it's just turned 1800. You may be wondering why I would be spending my Sunday evening in the computer room of our HQ? Well, let me tell you. Let's start with the good. 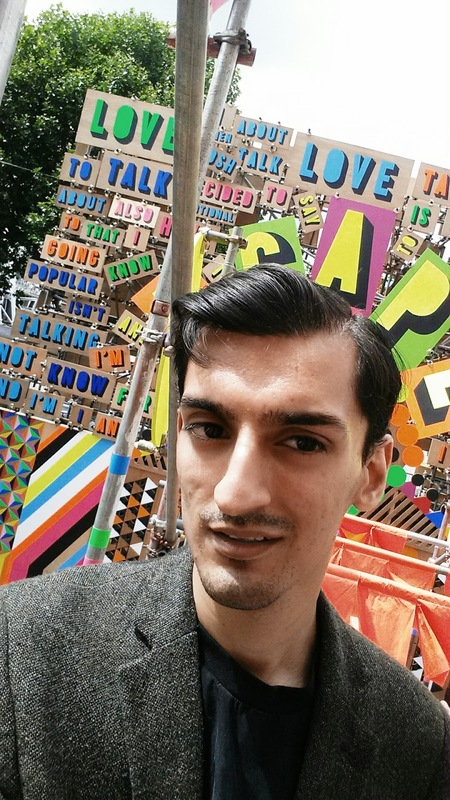 Today I went to the Southbank Centre where I talked to Paul Denton, design manager of the 'Festival of Love', as well its artistic director Jude Kelly. But why was I there? This was because yesterday (Day 6) we were told to find a news story about an event for a London listings magazine. We had until 1800 today to submit. The course, as you can see, is intense. But, what I found interesting is, given the very little time you have, one is immediately drawn to the serendipitous or your own implicit interests. From the start of the training, I seemed to be naturally drawn to Culture as the topic of journalism I keep going back to. Anything that focuses upon diversity, in terms of race of sexuality, has provided me with enough inspiration to get that 220 word news story or thoughts for a 700 word feature. (Features will be covered in Week 3). What happens when you're faced with an area of journalism you are not familiar or even interested in? This course forces you to confront this question. Day 7: A moment of contemplation on love and being a journalist. There were no selfies taken on Day 5. But, here's another photograph of the wonderful Temple of Agape at the Southbank Centre! We were asked to go to the 'Fifty Plus Show' at the Olympia Grand to find two 220 word news stories and six 50 word news-in-brief pieces. Now let me tell you something: this wasn't my beat. Deploying all the skills I used at the Southbank Centre within a beat I am unfamiliar with... was interesting. I didn't have specialist knowledge on medical health tourism. Journalists, as Roberta Cohen told us earlier this week, should be generalists. Poland's Ministry of Economy had a slick exhibition space. From my conversations with its analyst, doctor, dentist, and press officer I could tell that I had a story alive with quotes. Did I know that conscious sedation was the key trend in dental surgical procedures in Poland? Did I care? It didn't matter. This is because most initial reporting is plain reporting.